Getting rejected can be pretty painful, and it’ll leave you asking what you’ve done wrong. Ask the recruiters for feedback to find out and, at the same time, how to do better in your next interview. Imagine if you’ve invested three nights of sleep, four gaming sessions, and five dates just to prepare for an interview. It can get pretty discouraging when the employer emails or calls you back with a “I’m sorry that we are not able to offer you the position.” It’s even more frustrating if you felt that you’ve done a stellar job at the interview because you’ve nailed every question and made every interviewer laugh! So what exactly went wrong?! Guessing and self-evaluation is only going to give you half the answer – the other way to find out is by contacting the company or interviewer for a detailed feedback. This will not only help you tie up loose ends, but also help you fix blunders that you didn’t notice and improve your performance. Candidates are often nervous about calling the employer for this purpose (dude, you guys just rejected me! ), but you’ll find that there’s nothing to lose and everything to gain. Read on to find out how you should go about the process, step by step. This is very dependent on the situation and the interviewer(s) who spoke to you on the day of the interview. Of course, the best person to approach will be the recruiter himself/herself because he/she is usually the one to handle your interview as well. However, in the case that your recruiter is not the one interviewing you – e.g. when you liaise with the HR personnel but is interviewed by the hiring manager – then speak straight to the interviewer instead. They’re the ones who can give you constructive criticism based on their session with you. For this reason, it’s always important that you get the contact details or business card of the interviewer when you meet them for the first time. If you’re interviewed by a panel of interviewers instead, then go for the one whom you’ve built up the best rapport with. Alternatively, you can also email the “head” of the panel – the one whom you think is most likely to gather feedback from the other members. After all, you did pass the first round of screening interview, which means that the problem isn’t from your skill set or your fit with the company culture. Before you call in or email to ask about the reason of your rejection, be sure that you’ve been turned down for the job. If the recruiter has not gotten back to you, don’t automatically assume that you’ve been rejected. Call to check the status of your application, and only when you’ve confirmed your rejection do you contact the recruiter for feedback. In terms of the channel of communication, it’s more advisable to request for your feedback over email instead of through the phone or in-person because it may catch some people off guard. Emails give them the time to think through their responses before they get back to you, and can be more detailed, too. You can also use these feedback requests as an acknowledgement to a job rejection, which can help keep your relationship with the company positive. There is no harm in asking for feedback – when you do it politely. Being rejected can be emotionally taxing, especially if you’re really looking forward to the job, but do your best to keep your feelings under control before you ask. Avoid getting defensive or confrontational, and don’t drag the discussion out or you may come across as pleading for sympathy. 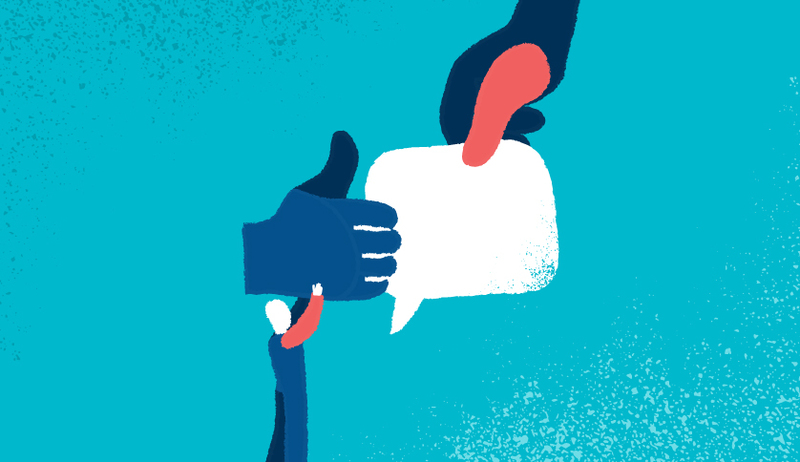 Start by thanking your interviewers, and then ask if they’re okay with providing feedback. Instead of demanding for it, let them know that you’d be “happy to listen to any feedback that they have for you because you’d like to improve yourself for future interviews.” Refrain from challenging their comments even if you disagree (“I didn’t say that”, “That’s not what I meant”, or “I totally nailed that question, okay” doesn’t help), and thank them for their time and feedback as well. In some cases, you may even find that asking for feedback can lead you to other opportunities! If you’re given mostly positive feedback, consider asking the recruiters to keep you in mind if any other vacancies arise. In fact, some of them may even voluntarily offer to contact you! A common reason for rejection is the lack of necessary skills or experience, such as the relevant qualifications or years of experience. Consider how you can obtain the skills or certificates required, and also the type of positions that you’ve been applying for. Might it be that you’re aiming for positions that are too advanced for your level? Some recruiters may also pinpoint certain interview techniques as the reason of your rejection, such as the way you carry yourself or your communication skills. For instance, some interviewers may misread your anxiety as aloofness, or think that you spoke too much on issues that didn’t matter to them. If this is the case, then you may want to seek out career coaches or advisors to help you with some mock interviews. There are also employers who will try to brush you off with a generic “another candidate was more suitable”. In such a situation, evaluate if it is suitable for you to push for more information. If the person whom you’re talking to is reluctant to answer more questions, then thank them for their time and leave it as it is. Otherwise, press for some specifics, such as the specific qualification or experience that won them over, so that you know how you should improve yourself. It’s not surprising that most hiring managers won’t volunteer feedback because things can get pretty awkward sometimes. Some are also worried about accidentally disclosing private and confidential information that will put the company at risk. If this is the case, you will have no choice but to just thank them and move on. At other times, you may also come across comments that you think are unfair or inaccurate, but remember that the employers are not out to attack you personally. They’ve only met you for a few times, and most of their comments are made based on their first impression of you. Do your best to take their feedback objectively and see how they may have arrived at such conclusions. From there, draw up the steps to improve yourself, and use them to move on.